Architect: Frederick Graff Sr., Frederick Graff, Jr. 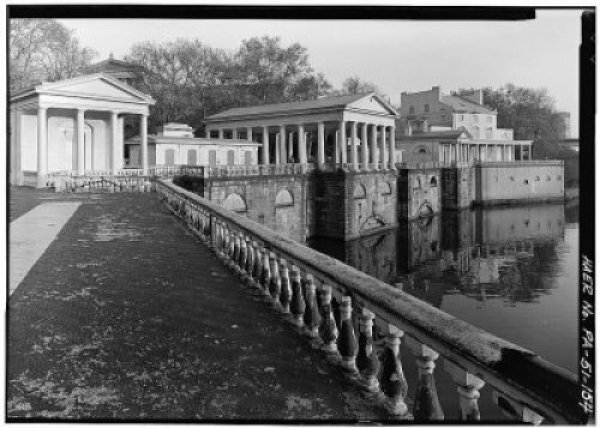 The City of Philadelphia built the Fairmount Water Works in response to the catastrophic Yellow Fever Epidemic of 1793, becoming the first American city to regard the delivery of fresh water to its citizens as a municipal responsibility. 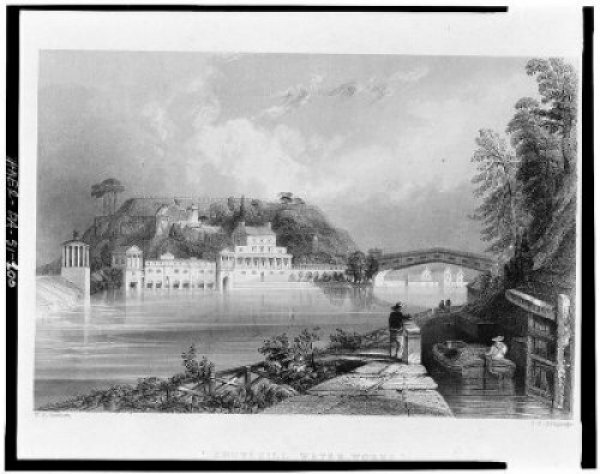 Completed in 1815, the Water Works used steam engines to lift water from the Schuylkill River into reservoirs atop the hill where the Philadelphia Museum of Art now stands. The City replaced the costly and unreliable engines with water wheels in 1822, which helped make the operation profitable. It built gardens and gazebos, and in 1835 converted the steam engine room into a saloon serving refreshments. 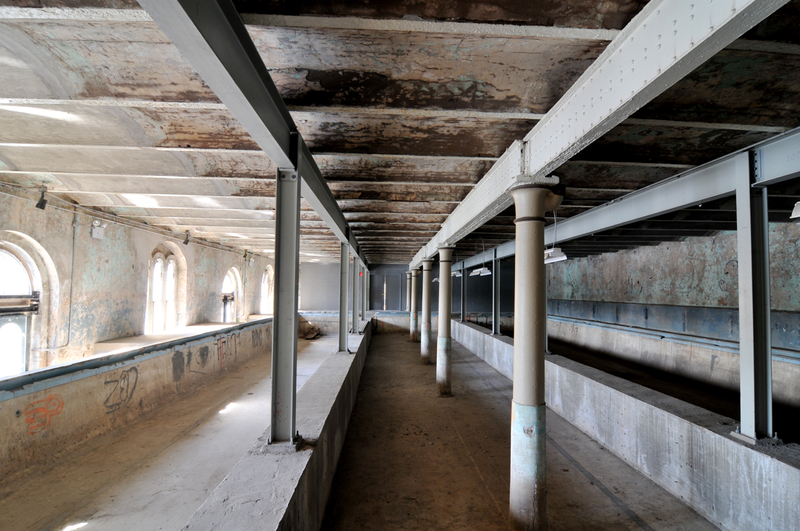 With its revolutionary blend of architecture, nature and the technological sublime, the Water Works became the second most popular tourist attraction in America by the mid-19th century. Visitors could enjoy the site’s stately, neo-classical architecture, then watch the muscular wheels and pumps at work with a pastoral river scene in the background. Unfortunately, the Schuylkill River became increasingly polluted by industry, despite the city’s purchase of land that drained into the river. 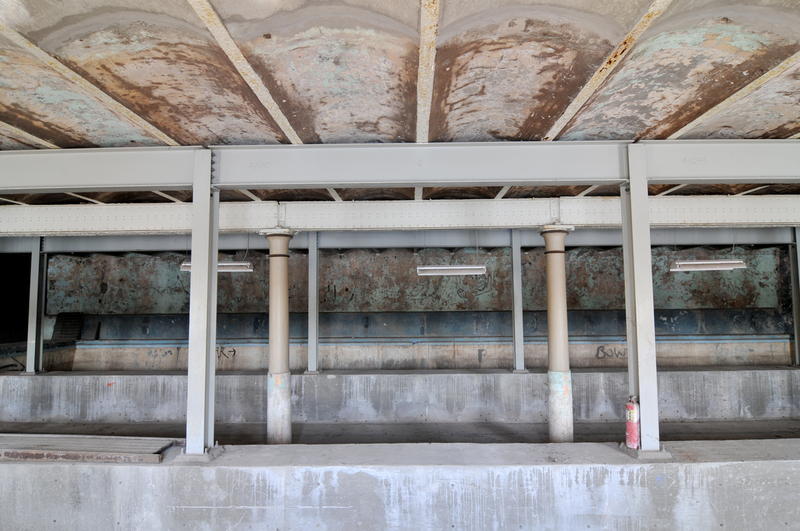 The problem grew worse until the Water Works was forced to close in 1909. The City soon devised an imaginative re-use for the site, replacing it with an aquarium, which grew to be the fourth largest in the world by 1929. 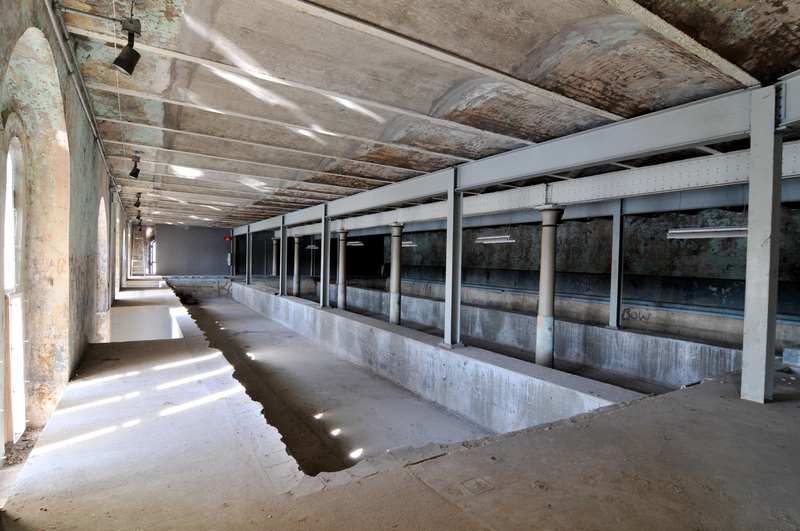 In 1961 a section of the aquarium was converted into a swimming pool with funding from Philadelphia’s illustrious Kelly family. 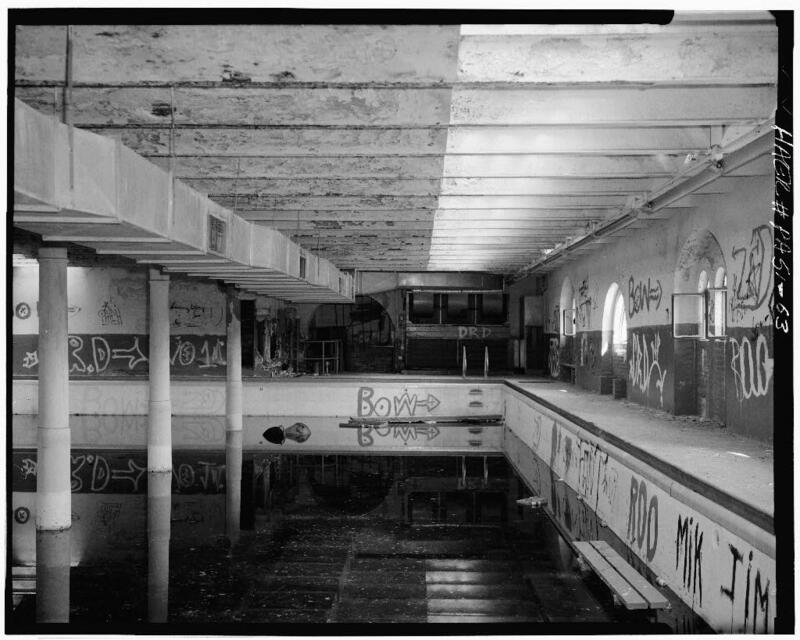 The City closed the Kelly Natatorium in 1972 after it was flooded by Hurricane Agnes. 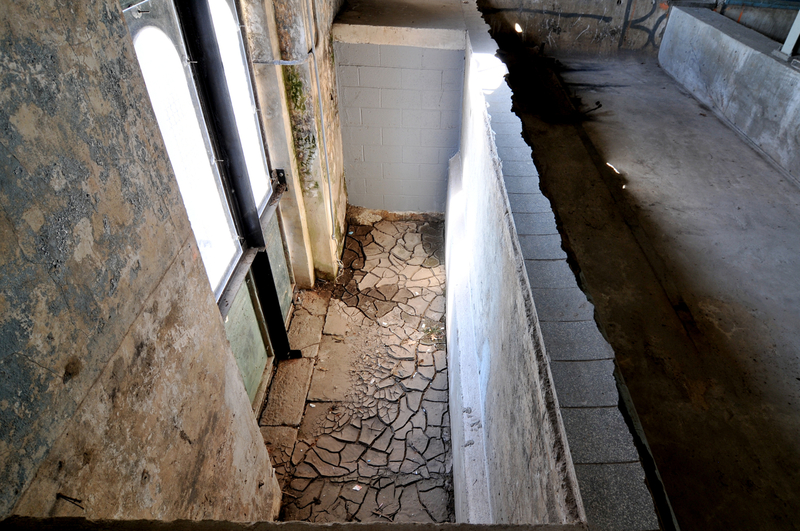 The pool area and the rest of the Water Works remained vacant for more than a decade. Following a lengthy restoration that began in the 1990s, an Interpretive Center and a fine dining restaurant opened, however the pool area remains closed.